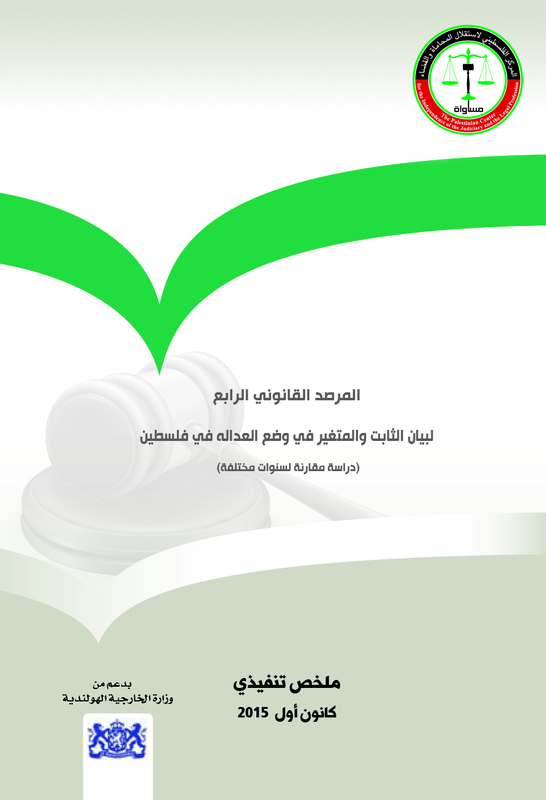 MUSAWA – The Palestinian Center for the Independence of the Judiciary and the Legal Profession released issue no. 22 of the Eye on Justice Gazette. The gazette consists of 128 pages, and documents the daily performance of the justice system, the complaints MUSAWA receives regarding law-violations, the legal memos through which MUSAWA addresses the relevant authorities to demand the cancellation of anything contradictory to the rule of law, and the authorities' response to these memos. For a hard copy, please go to one of MUSAWA's offices in Ramallah and Gaza, or visit MUSAWA’s website for a soft copy.